One of my favorite rooms: my son's nursery! When he was just a tot, this was one of my most favorite rooms in our former house. We've since then changed out the crib for a big boy bed, but his room will always be the cutest hunting nursery (in my humble opinion). Trying to decide on a nursery theme for your little bump can be hard. For our little guy though, it was a no brainer. My husband & I both love hunting, fishing...pretty much anything outdoors. We want to raise our kids with the same love for the outdoors too & thought a vintage inspired outdoors nursery would be a perfect fit. 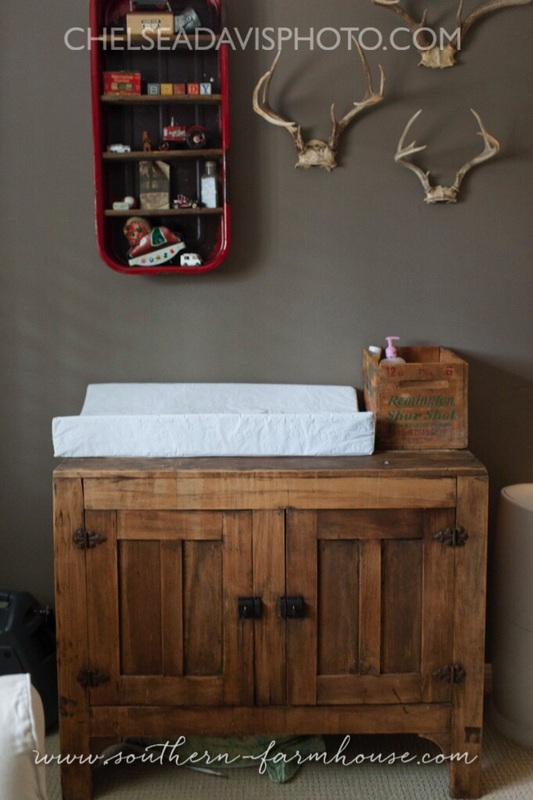 The great thing about this nursery is that everything, except the crib & blankets were found at flea markets, estate sales, or on our family ranch. Going into it, I had no plan. My mom & I bought & bought & bought and collected junk vintage decor for months. 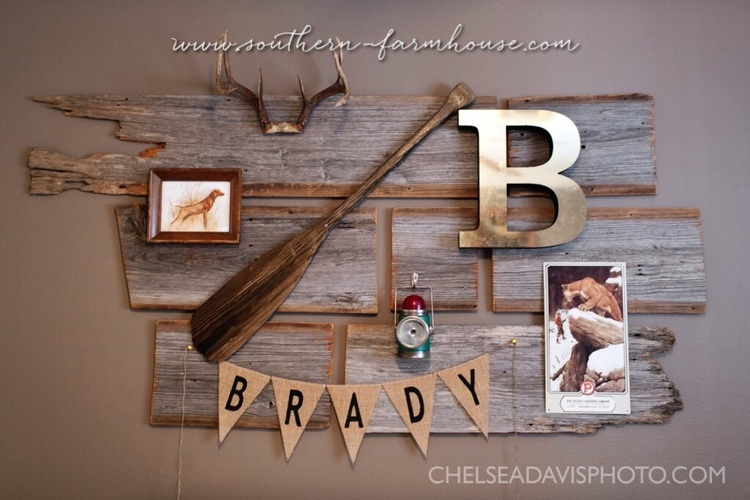 The wood on the focal wall above his crib came from an old school house on my parent’s ranch, just outside of Brady, TX & since his name is Brady, it was a no brainer to use in his room. Just a couple of months before our little man arrived we put it all together & it was oh so perfect for him. He was constantly running around our house saying, "Deer, shot, boom!" And I can assure you that it has never been or will be this clean ever again. Please note, I've seen comments about our nursery online---some love, some hate & some are worried about the decor hanging over the crib (which now hangs over the bed) and I can assure you that everything is safely secured to the wall. It's been up for about 4 years now & my son has not managed to get anything off. 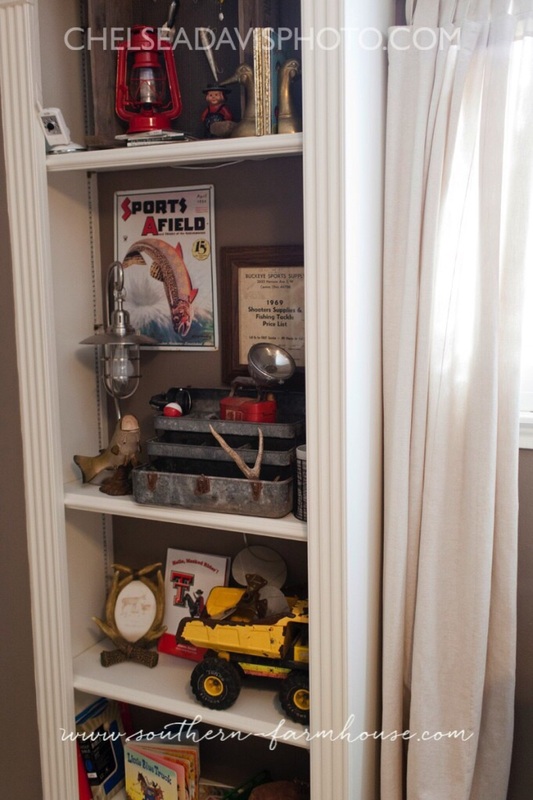 Looking to find your own decor for the perfect hunting themed nursery? I would suggest hitting up garage sales, estate sales, and flea markets. 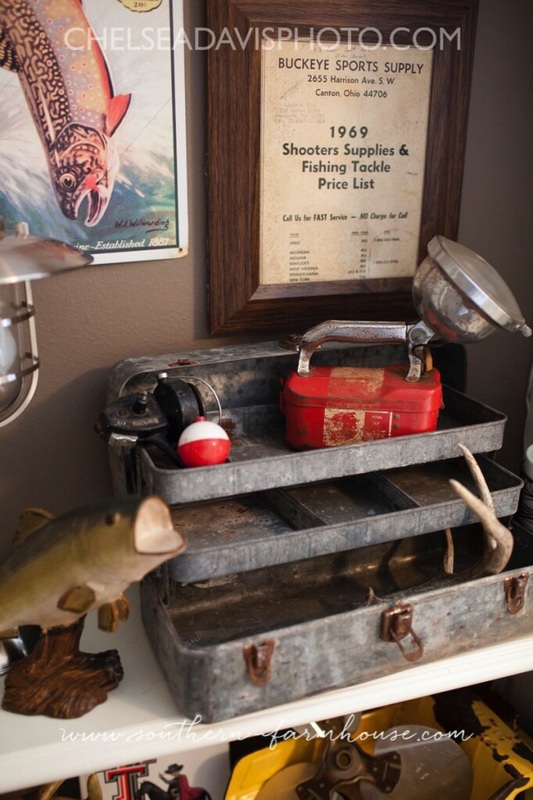 If your husband or dad are hunters, then chat with them about things they have kept over the years that you might be able to use in the room. *Please do not post our photos without giving proper credit to both photographer & designer.